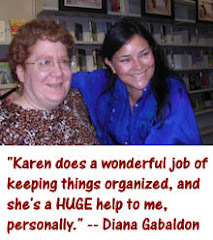 Thanks for posting your Outlander history. 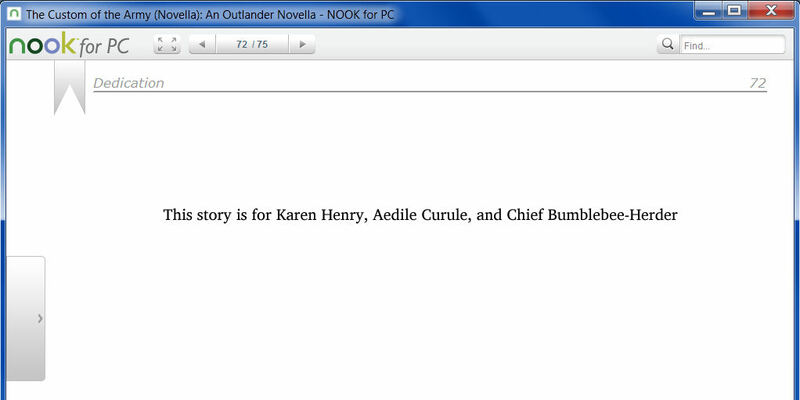 I looked back at mine and found that my first purchase was, of course, Outlander, in Kindle form, on June 28, 2010. I have also had the marvelous Davina Porter reading them to me the whole time. Am now on the 4th reading, about 3/4 of the way through "Dragonfly." When I finish the series I always feel a little lost for a few days and then start searching for something else to read. Finally, after the TV series started, my husband started reading (and loving) them. He is 82 and had only read non-fiction. I'm buying the hardbacks for him. Congratulations, Karen, on all these amazing things! When things get busy I can't follow all things Outlander but I always read your blog because I know that way I won't miss anything! Happy Birthday!!!! I went hunting around the compuserve site one night, looking for discussion on something a friend of mine and I had questions about. I didn't find what I was looking for, but found so much more! I've have some guilt about being able to jump from one book to the next, when I think about the readers who came before me--I can't imagine having to wait so long, though they are absolutely worth it. After DIA, I was dying to see how C&J reunited. I was disappointed. It has to be the best I've ever read. Thanks for all of your hard work. 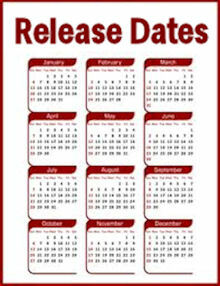 It has certainly helped me have a better understanding and view on these wonderful stories! Happy Outlander-versary! I, too, listen to the audiobooks on rotation. It's so funny, because when I go on runs everyone else I see is listening to music to pump them up -- I just use the "I need to get to this part in the story" motivation. Ha! Thanks for sharing your history and congrats on being awesome! 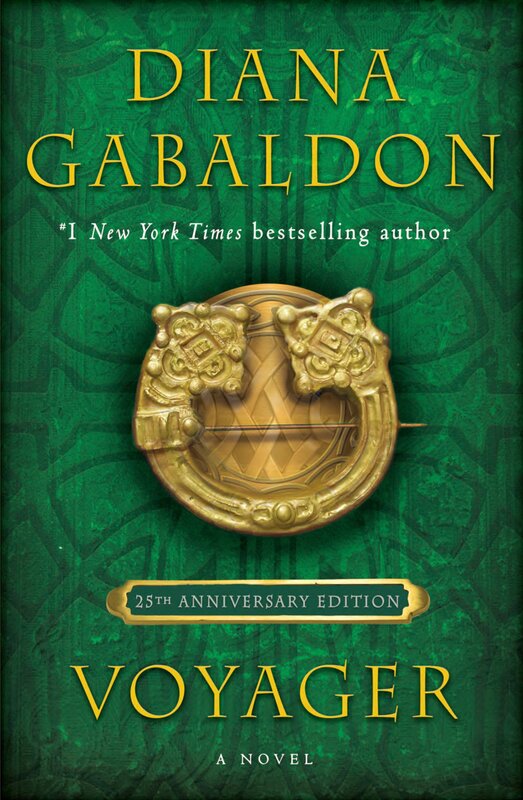 After avoiding many attempts by family/friends to read "Outlander", I finally relented in May of this year when a lady I knew from walking my dog in the park told me she thought I should read it. All she knew about me was that I was Scottish and a registered nurse. After humming & haa'ing I thought well I need something to read as I was going to Scotland in a week so I bought the book from B & N. From the front piece I was hooked "people disappear all the time". Finished Book 1 in Edinburgh having no idea the series was being filmed, while I was in Glasgow nor of the huge fan base. Tried to find Book 2 in Scotland with no luck & phoned a cousin (one who'd been trying to get me to read the books) in a panic. She tells me to "calm doon" she has extra copies of 2 & 4 that I can have. Big relief drove to her house to pick them up. Finished 2, back to California to read 3. Read 3 in literally 3 days. Then not long after I came home saw the commercial for the series on TV - couldn't believe my eyes. Had hubby order Starz. Finished all 8 books in 5 months. Now back to Book 1 (for the 3rd time) Obsessed much? Forgot to mention I'm not only an RN, born Edinburgh, I am a natural ginger, genealogist, WWI & WWII buff & history nerd. The series is amazing. Beautifully filmed, perfectly cast with extra humor which I love. All Scots love a good banter. This has been a heck of a ride. More than twenty years ago, I signed up for two free books from some paperback book club that I found in the back of another book I was reading at the time. Just by chance, and perhaps by the book covers, I chose Outlander and another book called Savannah. 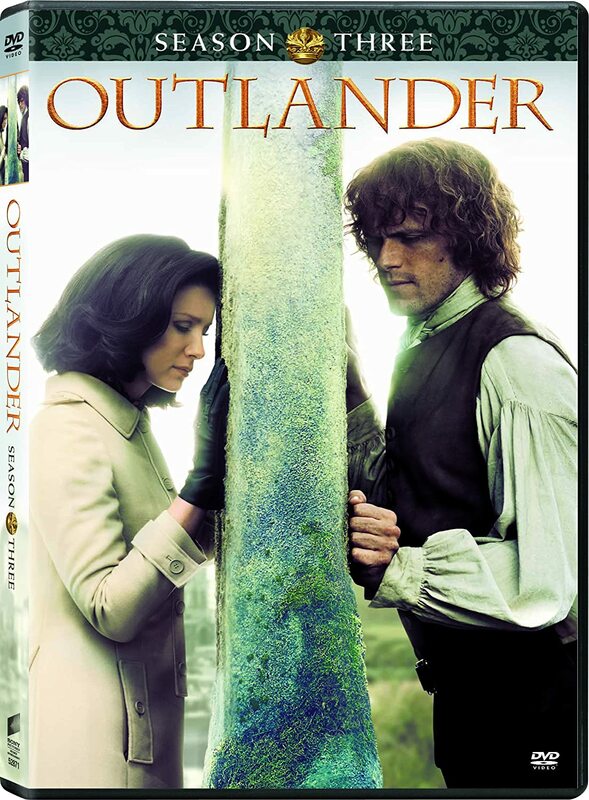 We were leaving on a vacation to Hilton Head, and I chose Outlander to take along. Well!! Needless to say, I saw very little outside our condo because I was sitting in a bucket-type chair reading Outlander for hours at a time. I was so "pinned" into the chair with my arms at my sides while I was reading that I ached when I finally came up for air each time. I was hooked for life. I have read all of the Outlander and Lord John books and listened to the audio books of each more times than my husband would like. Thank God for the great luck of choosing the right free books all those years ago. And that book, Savannah, I have no idea what became of it.